We are a UK-based classic car magazine run by an enthusiastic team who live and breathe old cars. Modern Classics is available in printed form via your local newsagents or as a digital download online. The magazine celebrates the golden age of cars, bringing you the finest motors from the 1980s, 1990s and 2000s. A time before overly assisted cars, numb handling and fake engine noises. We celebrate everything from hot hatches to supercars, nimble roadsters to Bahnstorming super-saloons and luxury GTs to the once-everyday family cars you grew up with. Each month we show you the joy of proper cars, how to buy them and the best ways to enjoy them. The modern classics market is hot for BMWs at the moment. We’ve seen everything from Z3M Roadsters to M635 CSis surge in value over the past few years. Feed your addiction straight from the source with a subscription to Modern Classics magazine! 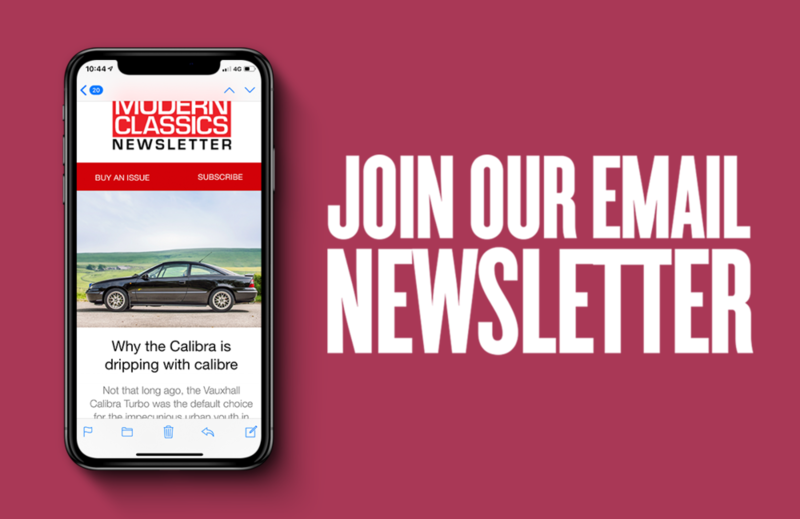 Keep up to date with what’s going on at Modern Classics in between issues and get exclusive access to competitions, market insights and articles only by signing up to our bi-monthly newsletter.